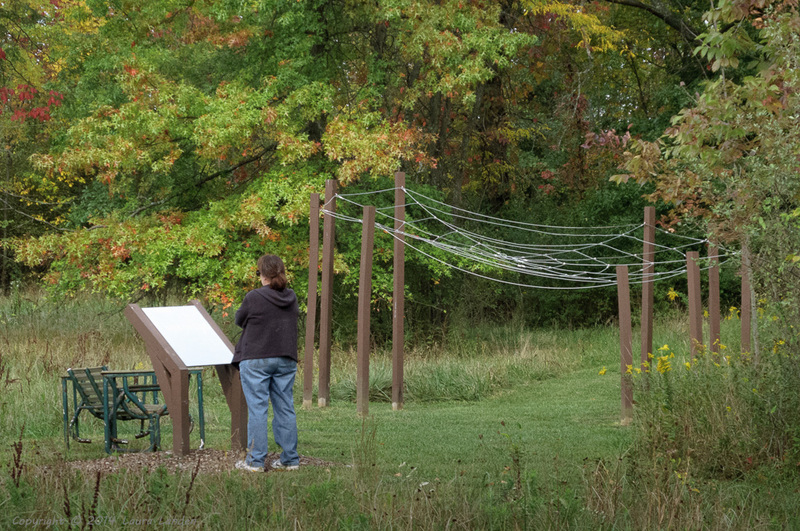 Shepherd’s Corner is an ecology center in Blacklick, Ohio (east of Columbus), run by the Dominican Sisters of Peace. Founded in 1992 under the inspiration of Sr. Jane Belanger, Shepherd’s Corner celebrated its 20th anniversary in September 2012. Events included a tour of the garden and farm, and a walk along the meditation trail, highlighted by a walk of the labyrinth. 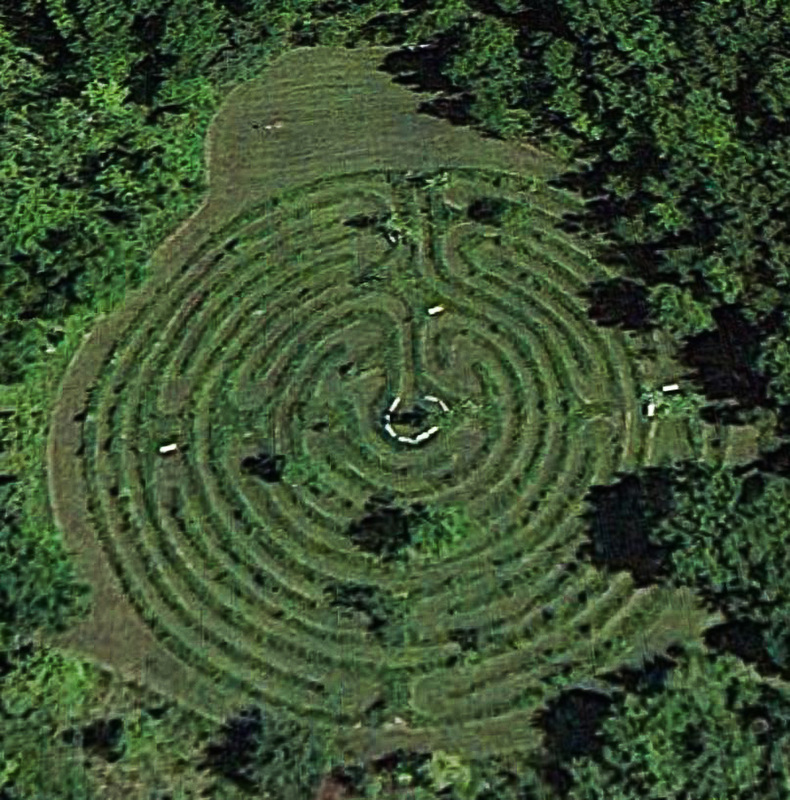 Visible from satellite imagery, the labyrinth provides an opportunity for individuals to quiet down, focus on what’s important in their lives, and open themselves for inspiration. The labyrinth was designed by Sr. Patricia McCabe. Labyrinth walks are scheduled monthly. Shepherd’s Corner is much more than a labyrinth, however. As the name suggests, there are sheep–and chickens, turkeys, and even a llama, Fernando, whose job is to guard the sheep. When sheep were first introduced, one fell prey to coyotes and another, subsequently named Rumpelstiltskin, suffered the loss of a chunk of his anatomy. Fencing quickly followed, as did Fernando. 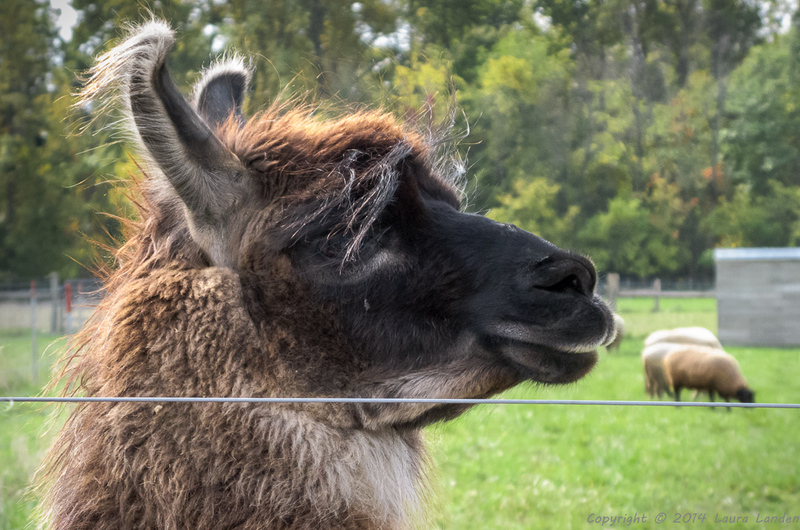 Llamas cannot abide canines, so they make excellent guard animals for livestock. The animals provide manure for the garden, a labor managed by John Wright, the gardener. Organically grown produce is sold at the Shepherd’s Corner market. Many volunteer opportunities are available for those interested in being closer to and learning more about the natural world. Also, a wide variety of educational programs for young and old are offered throughout the year. Shepherd’s Corner lies in Blacklick, part of what remains of Jefferson Township. The township is now completely surrounded by lands incorporated into Columbus. What was farmland 20 years ago is now housing developments, some of which are high density. Rather than try to fight the inevitable, the shepherds right from the start engaged with the local community. Every year they host a Neighbor’s Open House. While not a public park, visitors are encouraged to schedule opportunities to visit the property and trails. The meditation trail ends at the labyrinth, but provides more along the way. One point of interest is the Web of Life. 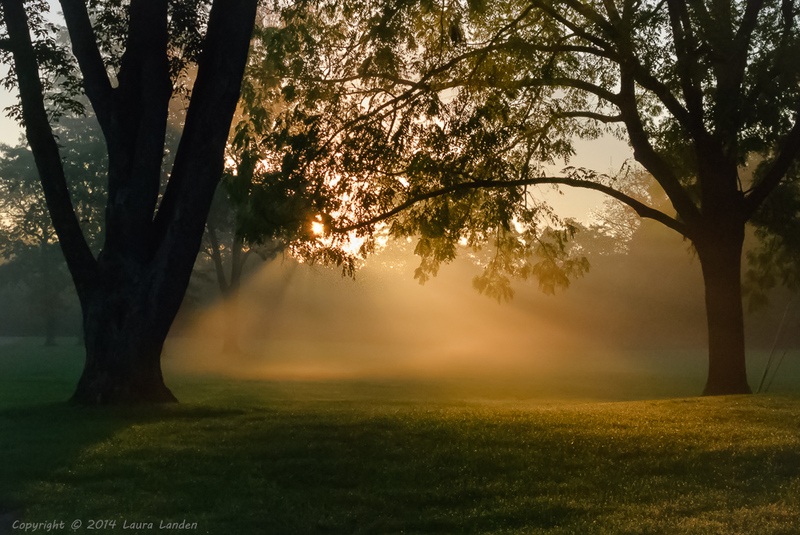 Especially enjoyable are foggy mornings, when one may see white-tailed deer frolicking in the fields near the pond. Shepherd’s Corner Farm and Ecology Center is a small corner of creation seeking to recreate the lands’ wholeness by rediscovering the life-giving harmony between the people and the land. Here, people of all backgrounds can learn to reconnect with the natural environment, themselves, one another, and the Creator who made them all. I’d love to go on one of those walks!